NOTE: You will be unable to fax documents to (202) 275-2636. 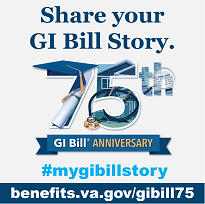 We encourage you to submit a signed agreement via email attachment to YellowRibbon.VBACO@va.gov by May 15, 2019. We apologize for any inconvenience this may cause. VA’s website will reflect participation in the Yellow Ribbon Program for the 2019-20 academic year in June. Please consider posting on the institution’s website that its participation in the Yellow Ribbon Program for the 2019-20 academic year will not be reflected on VA’s website until June. Schools participating in the Yellow Ribbon Program for the 2018-19 academic year are currently available. Veterans and dependents entitled to the maximum benefit rate, (including recipients of the Marine Gunnery Sergeant John David Fry Scholarship) may receive this funding. Effective August 1, 2022, active duty service members may participate in the Yellow Ribbon Program.